Richard Lonergan spent over thirty years of his career in the information processing and finance industries. His experience includes roles as Executive Vice President of Visa International, General Manager of General Electric Computer Services, and Systems Engineering Manager for the IBM Corporation. At Visa his responsibilities included clearing and settlement services and global currency conversion, international card acceptance including Internet shopping and the Visa Global ATM Network, and all Visa’s application programming. He is now CFO for The Consulting Team LLC, which provides facilitation, coaching, conflict mediation, and training to over 50 Bay Area cities and counties. His broad technical and executive management experience allow him to view issues from many different perspectives. Richard has been involved in community service throughout his adult life. He served on the boards of North Tahoe Arts, the Katherine Delmar Burke School, the International Institute of San Francisco, and the New Century Chamber Orchestra. He is an active member of the Board of Directors for SPUR, formerly as a member of the San Francisco Board, serving on the Budget, Finance, and Major Donor Committees and is a member of the SPUR San Jose Board. He is also a member of the Board of Trustees of Palo Alto University and its Executive Committee, as well as chair of its Finance Committee. 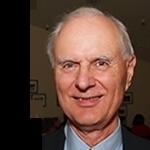 He is also a member of the Board of the Los Altos Theater Company and a member of the Finance Committee of the Los Altos Community Foundation. Richard and his wife Marilyn serve on the Presidential Circle of Cabrillo College in Aptos, California. He is a long-term Bay Area resident, growing up in San Francisco and attending its public schools. He received degrees in Mathematics from Stanford University and the University of California, Berkeley. He resided in San Francisco for many years and now resides in Mountain View, thus bringing a unique perspective to Bay Area issues.